I have a couple serious posts to put up, but today I thought I’d post something on the fun side of life. 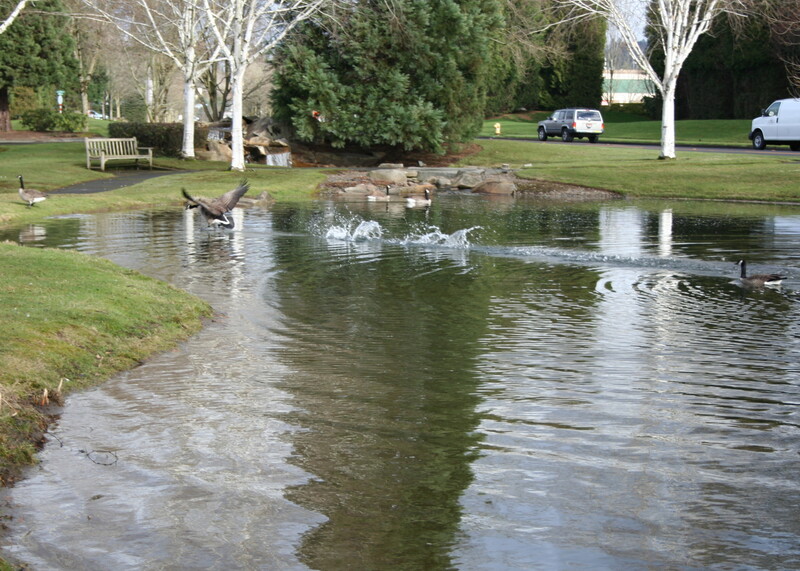 Well, maybe it wasn’t fun for the one goose, but I had fun taking the pictures. 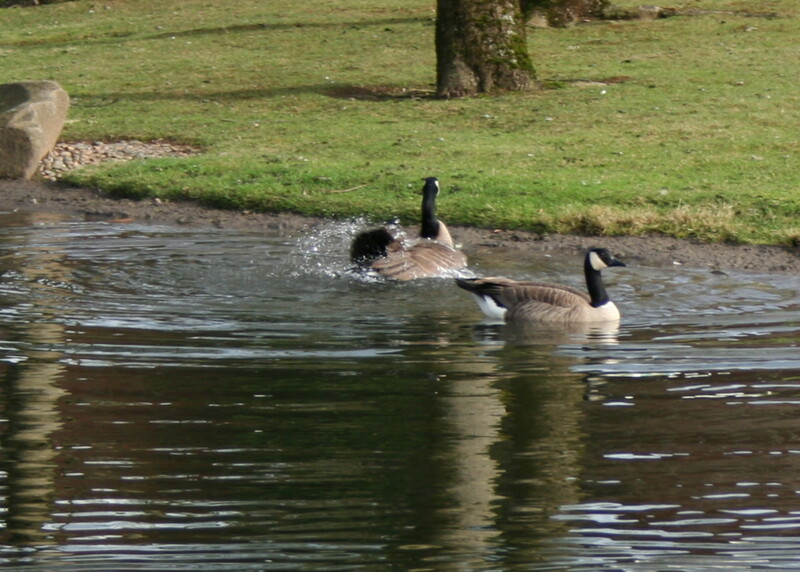 Normally the geese are rather boring. They goose-step, poop, sidle away, stop traffic and so on, but for taking photos: they’re boring. Except for his (her?) ID tags, old XW46 is boring. XW46 has been around for a couple winters now. 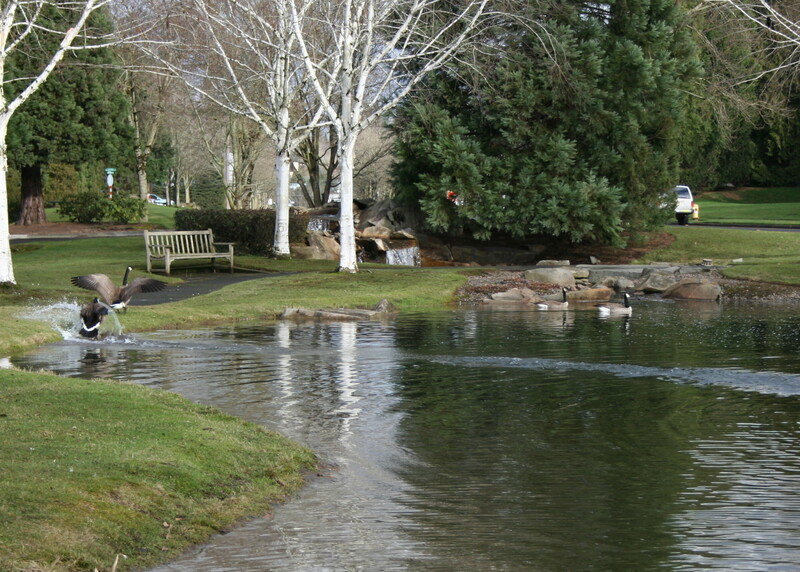 Just geese hanging out at the local pond. Doing a little “posturing” for dominance. 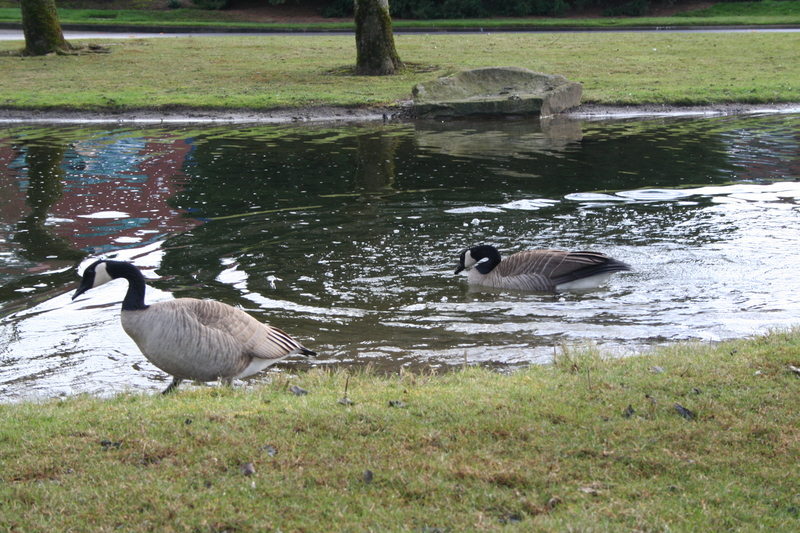 Maybe even bragging about themselves to the other geese. Swimming off to be alone, together. 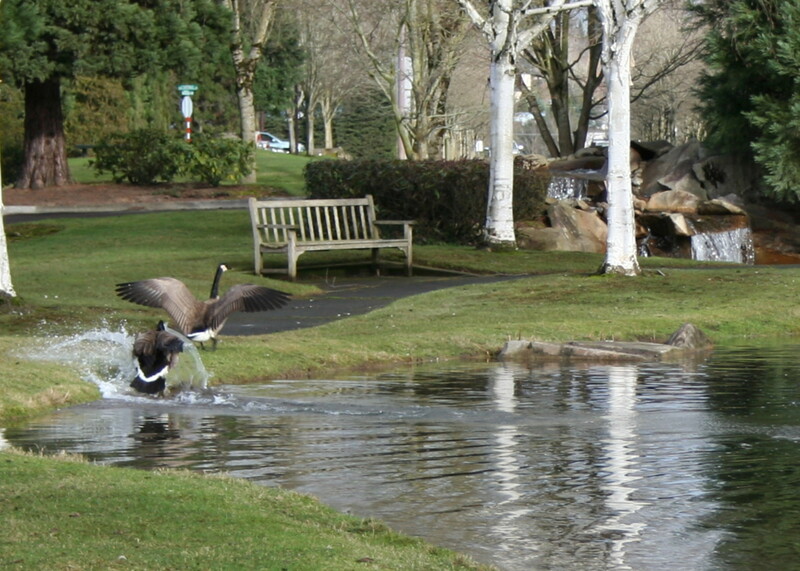 The goose equivalent of a quick shower. Making sure everyone knows just how big and tough you are, especially those pesky mallards. 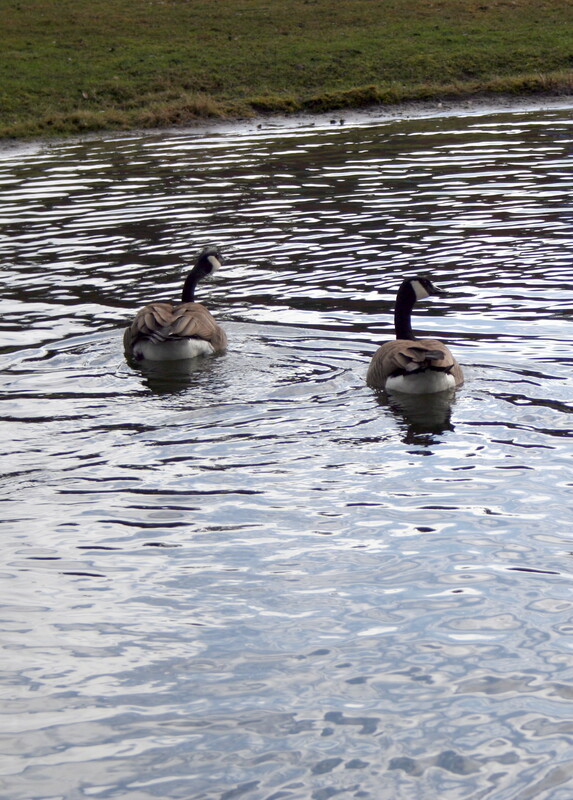 Right into the side of that rival goose on the other side of the pond! Look at that other goose get out of the way. 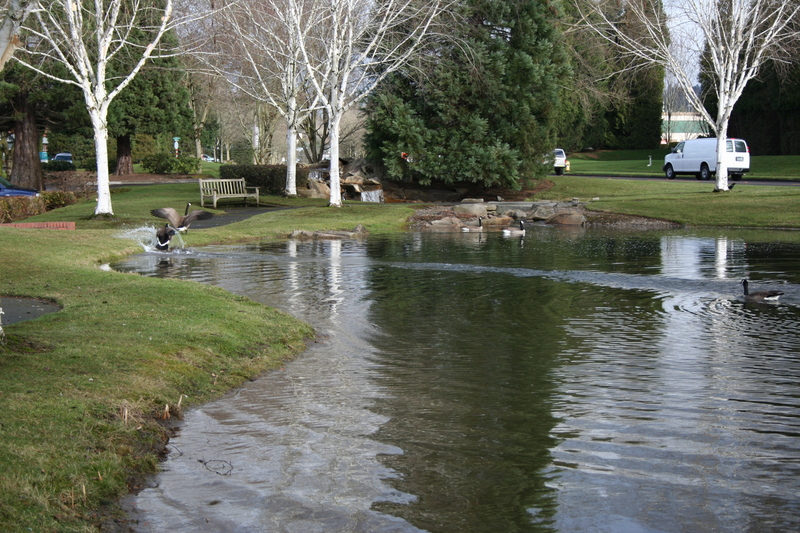 An idyllic backdrop to goose violence. Must be mating season. 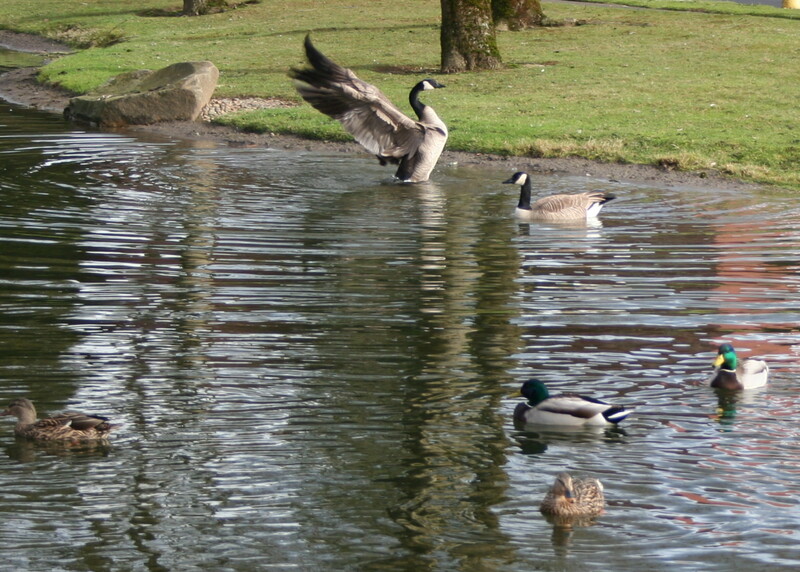 The geese are getting cranky. 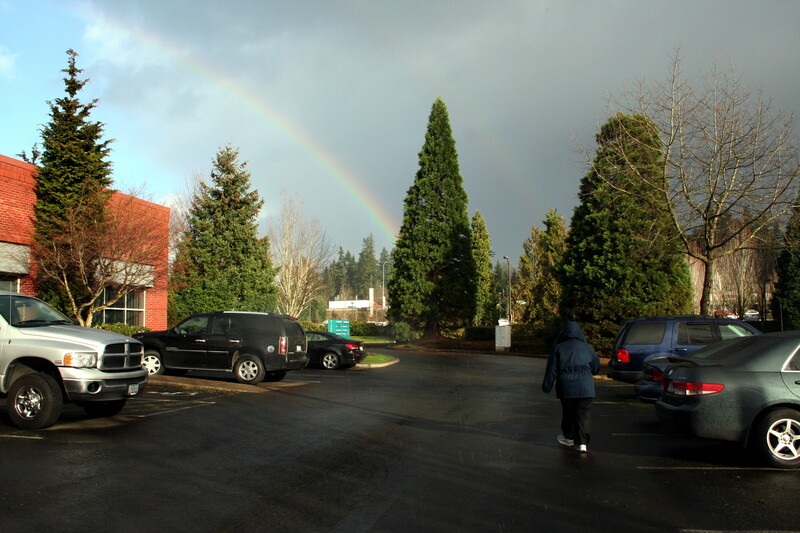 And I can’t help but look at a rainbow and feel the promise. And that is a good lead-in to tomorrow’s blog post. 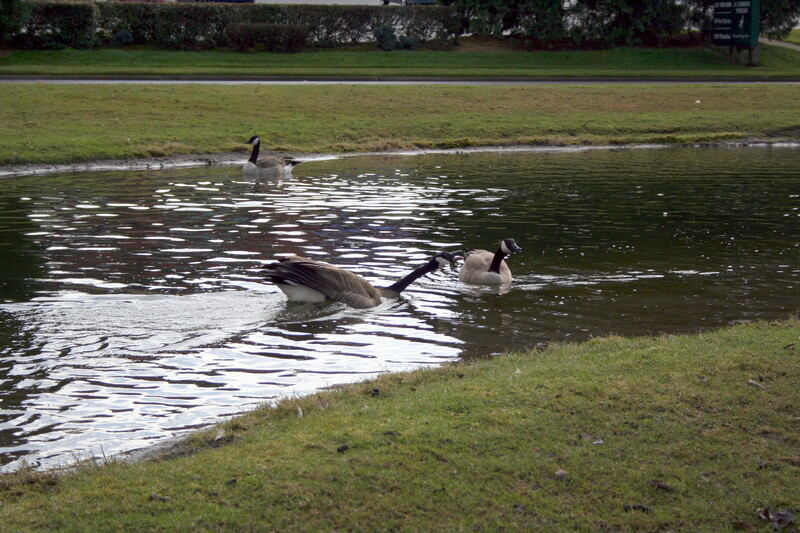 I know it’s been a few years since you posted your vast findings on the Canadian Geese… and thank you for it, as you helped me in my search for some of the same things!! 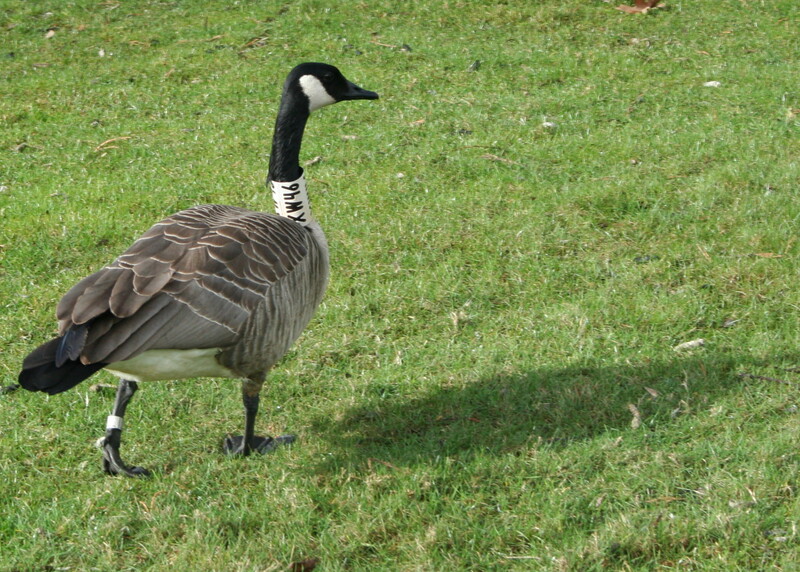 So, I too found much information but also found this site https://www.humboldt.edu/wildlife/faculty/black/research/humgooseentry.html Which allowed me to actually document the sitings of Western Canada Geese with white USD collars!! Too cool. If was good to know at least, that the birds we observed in North Carolina, probably came from Washington State or Oregon, possibly SW Canada. I’m glad I actually wrote something that helped someone – who cares when it was written!